Nothing gets us more excited for summer than the prospect of an epic road trip: wind whipping through open car windows, highways flanked by stunning landscapes. Luckily, this is an easy reality in the U.S., thanks to an abundance of amazing national parks. Nothing gets us more excited for summer than the prospect of an epic road trip: wind whipping through open car windows, highways flanked by stunning landscapes. Luckily, this is an easy reality in the U.S., thanks to an abundance of amazing national parks. Here are the 5 most road trip-worthy. Tucked into South Dakota's southwest corner, Badlands National Park greets visitors with an otherworldly landscape of rust-colored buttes, spires, and pinnacles rising across thousands of acres. 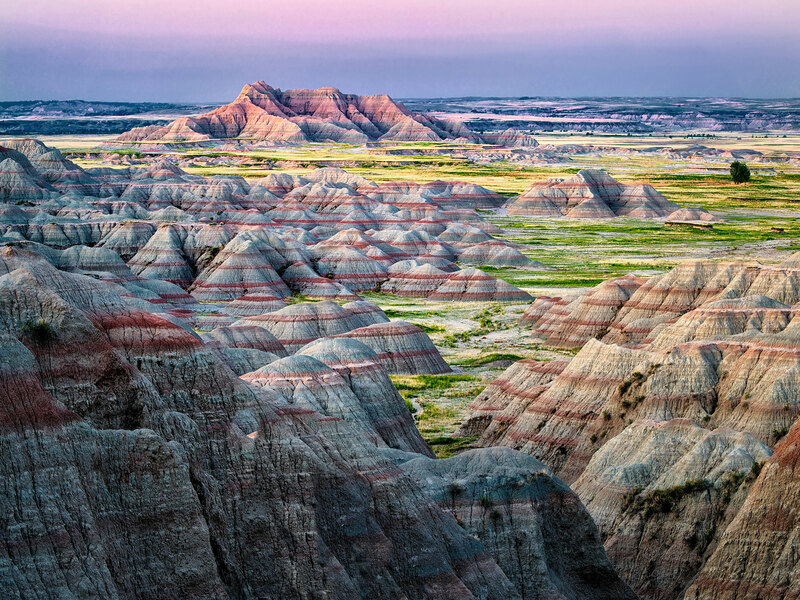 Start your road trip on the 40-mile Badlands Loop Scenic Byway, stopping at overlooks to gasp at gullies, canyons, and the occasional bison sighting. From the park, drive 90 minutes southwest across I-90 and down SD-240 to Mount Rushmore and pay homage to one of America's most iconic sights: the enormous, carved faces of Presidents Washington, Jefferson, Roosevelt, and Lincoln. 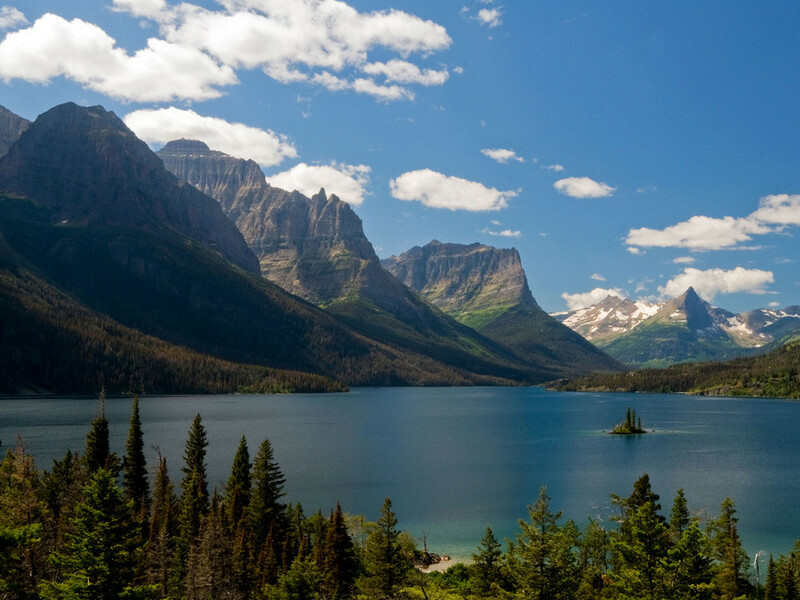 Glacier-carved, snow-capped mountains rise above sapphire lakes throughout Glacier National Park. Road trippers can stop to trek trails marked by waterfalls and frequented by bighorn sheep while driving famed Going-to-the-Sun Road, named after the mountain looming beyond Logan Pass. This 50-mile, two-lane road slices through the park, and scenic overlooks and pullouts line the route. Base yourself in a lodge located on the park grounds, like Many Glacier Hotel, and spend a few days exploring the road's must-sees including Wild Goose Island and Jackson Glacier Overlook, then stopping to hike at Siyeh Bend trailhead. 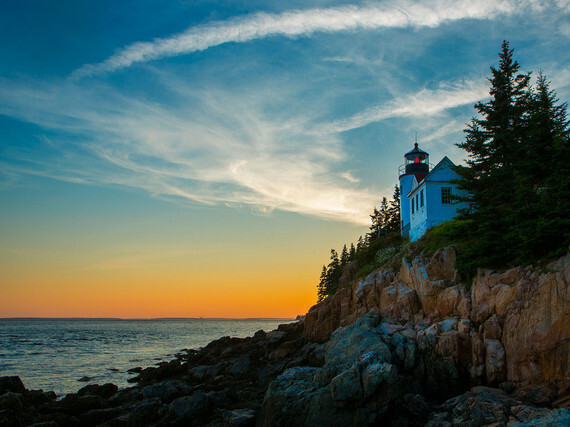 Start your Acadia National Park road trip before dawn, watching the sunrise atop Cadillac Mountain. The peak marks the North Atlantic seaboard's highest point, and offers one of the first views of sunrise in the United States. Drive the park's 27-mile loop road, admiring craggy coastlines and stopping to hike around Jordan Pond, then refueling with popovers at Jordan Pond House (these pastries have been a favorite here since the 1890s). From the park, drive 14 miles south to Bass Harbor Head Lighthouse. Perched upon rocky shores and surrounded by weathered pines, the 19th-century tower and adjacent cottage comprise one of America's most photographed lighthouses. 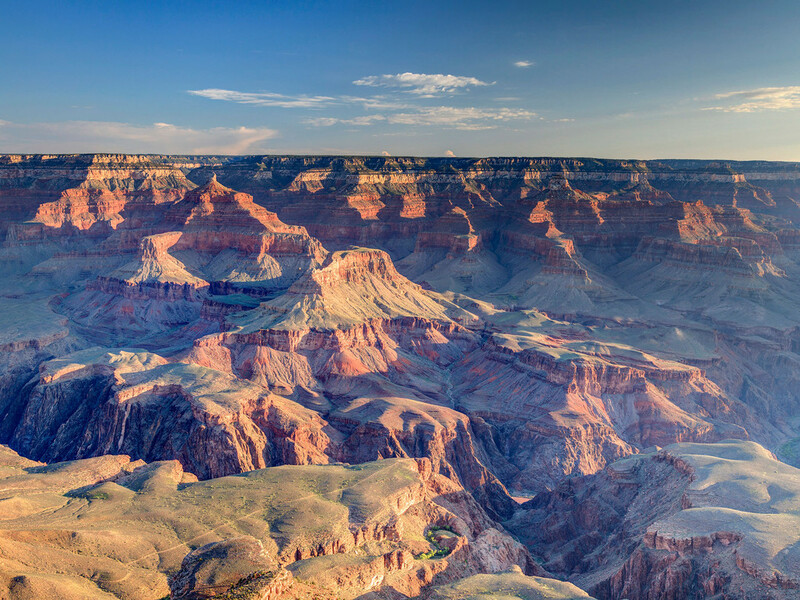 Most Grand Canyon visitors see only the popular South Rim, though it's an easy road trip to the equally breathtaking--and far less crowded--North Rim. Start your trip at the South Rim, where a hop-on, hop-off shuttle brings you to major pullouts and trailheads offering views into the canyon's abyss and glimpses of the Colorado River below. From here it's a five-hour drive to the North Rim, home to twisting trails and panoramic views of the canyon's crevices, cliffs, and bluffs. Pause to visit historic Grand Canyon Lodge, where travelers can unwind on Adirondack chairs overlooking the canyon. In the early morning hours, the winding Blue Ridge Parkway grants road trippers views of mountain passes and valleys cloaked in a misty, blue haze. Stretching from the Tennessee-North Carolina border into Virginia, the route is popular during autumn when colorful foliage attracts leaf peepers to the region. 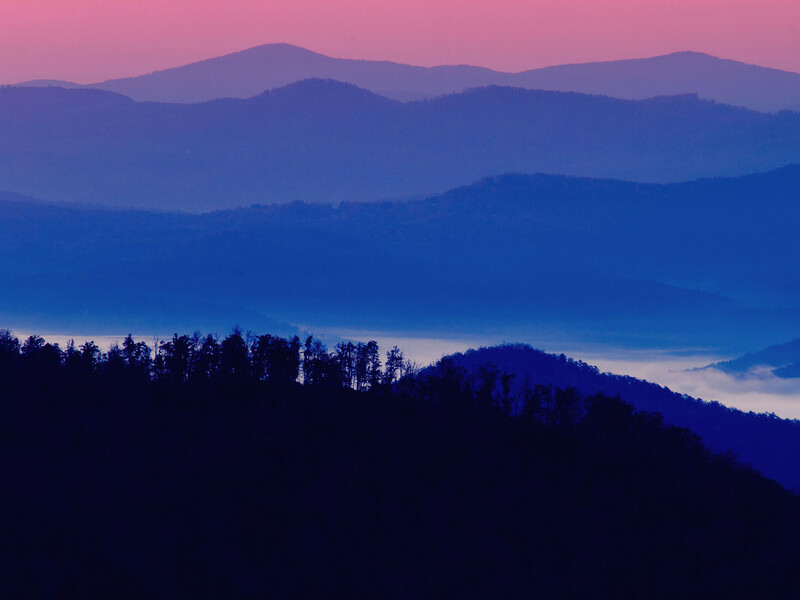 Before hopping onto the Parkway, drive to Clingman's Dome, the Great Smoky Mountains' highest peak. En route to Shenandoah snap photos of scenic Mabry Mill, and visit Mount Mitchell's summit, the highest point east of the Mississippi River. In Shenandoah, travel Skyline Drive, the park's 105-mile thoroughfare, stopping to photograph the Appalachian Highlands. Embark Or Wisdom Panel: Which One Is The Best Dog DNA Test Kit?